VAANI is a Sanskrit word meaning 'inner voice'. The inner voice that touches the strings of the heart, the deep senses. VAANI recites poems or transforms into prose, splashes as colours on canvas and flows as music. In every form, it excites the sensibilities, nourishes the spirit and transforms life. Let our VAANI be our muse! Our Vision is to push boundaries to achieve full potential. There is a lack of support to Asian Women Authors and Artists in the UK publishing industry. Our Vision is to provide a platform for them where they can come together and share their work/art, promote, advertise. VAANI's mission is to bring a smile of confidence on disadvantaged people's faces via the medium of Arts. VAANI aims to promote Asian Women Authors and Artists in the UK. 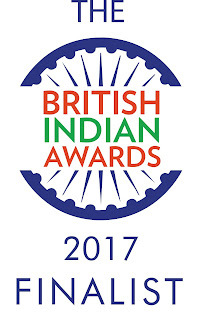 We aim to do this by creating awareness among the Asians in UK and help them to integrate better within the larger society. VAANI also works at the grass root level with disadvantaged groups of people i.e. Asian women and people with learning disabilities, people suffering from dementia, older people; building confidence and opening possibilities. Art forms and other recreational activities are not only therapeutic but they also enrich an individuals' experience of life rendering it meaningful. VAANI helps disadvantaged people to integrate better within the society via the medium of Art. VAANI is a Non-profit company limited by guarantee. All its profit is to be reinvested within the company for its own cause. VAANI has a all volunteers work policy. Everyone in VAANI works as a volunteer.